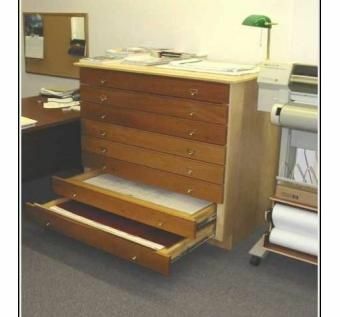 Draftsmen & Engineers like to store their drawings flat. 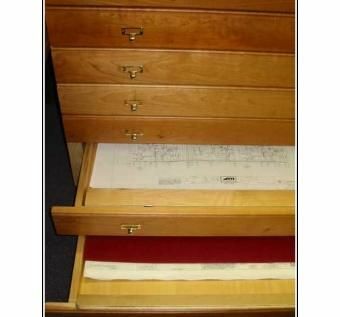 This paper chase has hinged paper flaps in the front & back of the drawers to hold the corners down of previously rolled drawings. 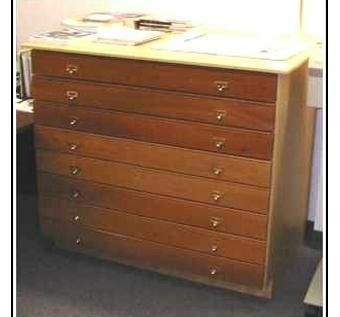 It's made from Baltic Birch & Cherry with card file pulls.